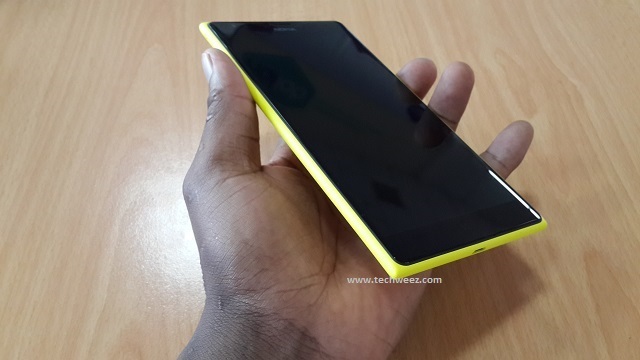 Nokia Lumia 1520, what's in the box? Nokia Lumia 1520, what’s in the box? I was going to write a first impressions article, but we all know this is not the first time I am meeting this beauty. I happened to have been there at the launch of the Lumia 1320 and Lumia 1520 in Abu Dhabi and got a first hand desert treatment during Nokia World Abu Dhabi at the St Regis Hotel. So this is just about what you get when you open the box, beyond the 6 inch full HD Windows Phone. Inside the box we have the phone itself and under it there is the pin to open the Nano-SIM and microSD slots. This is where you learn that the device uses Nano-SIM like the iPhone, so if you have plans for this device get switching. Further inside we have the box with the start-up guide. Further under is where the meat of the matter is. The Nokia WH-208 in-ear earphones in the colour that matches the device, in my case we have yellow. There is matching extra ear buds for to replace and switch to whatever size that best fits your ears. The charger and USB cable are the other things there, separately. Other than that we have the looker device that stands the test of time when it comes to both size and specifications. Size & weight: 162.8 x 85.4 x 8.7mm (volumetric). It’s kinda too big for life. My trouser pockets can’t stomach it. Where can I buy a phone bag? Loooool! For a second just think about this literally.